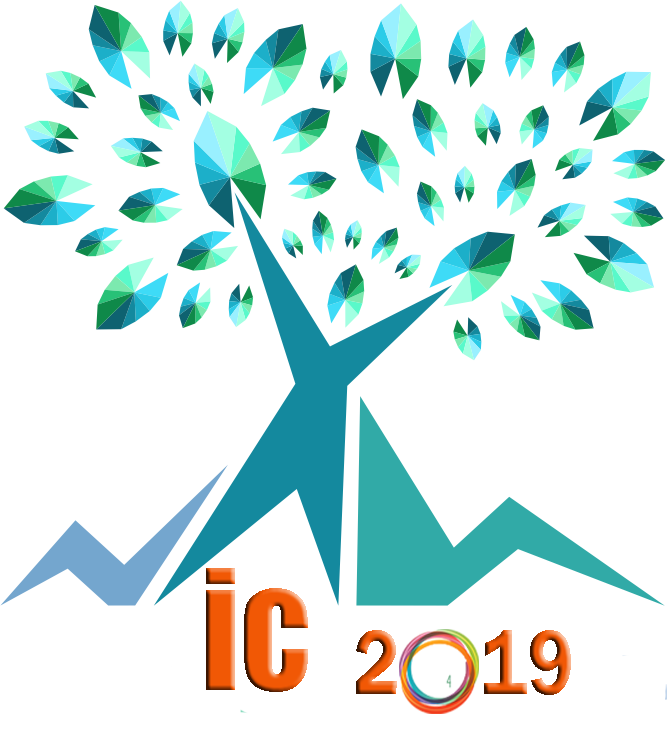 The congress " IC2019 : Beyond borders - Au-delà des frontières - Más allá de las fronteras " will be held at the Université Lumière Lyon 2 from 2 to 4 May 2019. Il will be organized by the "Centre de recherche en Terminologie et traduction" (CRTT) , the Language Center ang the members of Apicad involved in the Lectŭrĭo+ Project. Intercomprehension, plural approaches, young learners, interdisciplinarity, European and Asian languages, linguistic minorities. This conference, organized by the Centre de Recherche en Terminologie et Traduction (CRTT) and the Language Center at Université Lumière Lyon 2 (ULL2), is part of the Lecturio+ Project, with the support of its partners. It will bring together researchers working on intercomprehension and plurilingual approaches in various contexts. The conference is part of the Lecturio+ Project, but this call for papers is open to all researchers interested in its themes and research questions, in Europe, the Americas, or elsewhere in the world. For more than 25 years, language-teaching methodology has been investigating intercomprehension and other pluralistic approaches (Language Awareness, CLIL, Intercultural approaches). As several researchers have observed (Coste 2011), intercomprehension has become recognized, scientifically, since it is taught more and more frequently in university programs. In this conference, we’d like to take the issue further, and broach the questions that have started cropping up: Why do the Romance languages dominate in on-line intercomprehension projects (like Galanet, Galapro and Miriadi)? Why isn’t intercomprehension taught in primary schools? How can intercomprehension be used for language learning by migrant populations? Moving past traditional borders signifies, first and foremost, surpassing the barriers created over the years which have rendered intercomprehension a discipline studied mostly at the university level. This symposium calls on all those who teach intercomprehension to young children, to students, to the community and to adults continuing their studies, who can share their experiences and teaching strategies. Pushing past borders also means abandoning our acquired habits and going beyond the well-explored language families, moving away from Romance, Germanic, and Slavic languages and moving towards Semitic, Chinese, and other less familiar languages. It also means pushing intercomprehension towards seemingly unrelated languages. Some research has been conducted along this line, so we will be able to analyze and discuss different hypotheses and conclusions. This conference is also trying to establish links between historic linguistic minorities (eg. Francoprovençal) and the language roof in order to enhance the plurilingual repertoire of each individual. How do ideas, representations, and languages circulate today, and through them, how do they construct, exchange and transfer knowledge across geographic, cultural, and academic borders? Why do intercultural and interdisciplinary practices today celebrate creativity in both the production of new knowledge and the necessary rearrangement of theories and methods facing the issues and problems in our current societies? How do we get a grasp on technology, not simply as an array of tools and skills but as the inescapable background through which interpersonal exchanges take place and through which knowledge is built? With this conference, we hope to knock down the walls between disciplines, in an attempt to move off the beaten path by the didactics of language, and instead give a voice to all the experiences and research in which intercomprehension has made way for a dialogue between disciplines. In line with the project Lectŭrĭo+, we also hope to welcome comments and critiques related to intercompréhension and artistic and aesthetic disciplines, dramatic arts and stories, in their diverse forms. We would like, as well, in a way suited to intercompréhension, which demands an ethical approach, to explore the possibilities of using this approach to knock down the barriers between people and to support the reception of refugees migrating to Europe. The interdisciplinary thematic of this symposium, which will cross other disciplines as well, is the rejection of physical boundaries and materials between people, the dematerialisation of dialogue between the people who meet one another more and more often virtually, in dedicated spaces, and who, since the Galanet project (2001-2004), collaborate online to mold themselves to intercomprehension in workshops reserved to members of partner networks (Galanet, Galapro, Miriadi) or even bigger and open in enrollment (notably, the MOOC as organized by OIF). This symposium will also give a chance to young researchers working in the field of intercomprehension to present their research. A prize will be delivered to a young talented researcher. Submission of proposals through the web form contact before October 29, 2018. The deadline is extended to 16 November 2018. Maximum: one page (200 - 400 words) with bibliography references (cited in the text). Submitted proposals should specify to which part of the symposium they apply and explain how they are related to the underlying themes. The communication proposals can be written in any Romance language or in English. Communication must be done in any of the above languages but must be paired with a visual aid - a Powerpoint presentation, for example - in another of the above languages. The language choices for the presentation must be indicated in the initial proposal in order to be properly included in the schedule of the symposium.